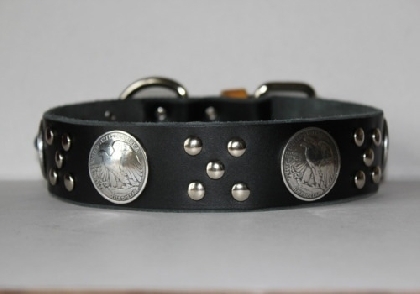 Leather collar with half dollar conchos. From 14" to 28" around the neck. 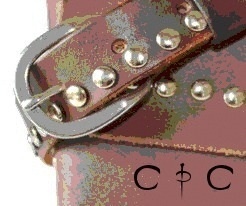 Enter the details of your Dogs Neck Size and your Color choice into the Message section when you place your order. Items ships from : Spain.